The Visual Factor: Judging a Book by Its Cover? In the article Book Covers: Do They Matter?, Melanie Figueroa from The Poetics Project discusses the importance of book cover design at marketing level, after having stumbled upon some statistics about booksellers’ view on the visual factor. She wittingly quotes Terri Giuliano Long’s article to argue that many readers do factor cover design into consideration when purchasing books online or in a bookshop, and while I agree with her that authors may not always be responsible for the quality of cover design, they certainly should take this aspect more seriously. 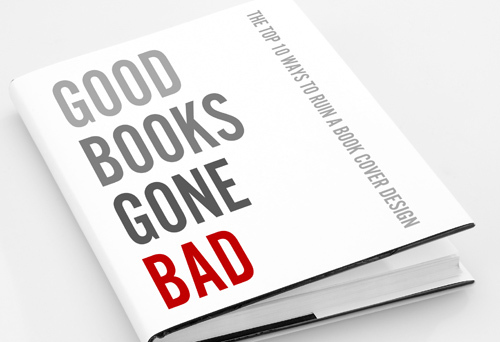 True, the book writing itself is a piece of artwork and it is a shame that readers would not purchase your book because of the bad cover design, but wouldn’t a good design help you get across your message even more directly and add to the book’s artistic value? In this interview with Jane Friedman, the bloggers of Book Venture share their view on why authors should pay attention to book design and hire professional designers, common mistakes that indie authors make during their book publishing process, how much a typical trade print paperback novel is expected to cost, and whether a print book and its electronic version should have different cover designs. If you wish to go for a short read about visual design in book production, I recommend you check out Layout & Design: Good Looks Sell Books, in which Ahmad Meradji outlines the factors that you need to consider for layout & formatting and cover design, as well as introducing the roles of graphic designer and illustrator in publishing services. Yes, the cover is vitally important if you want your book to stand out in the crowd. I think, and I hope, that my book covers are getting better and better with each book. Especially since I now commission an artist to design them. Perhaps not everyone is as fortunate to be able to do that. Even though the content may be very good I do agree that book covers do make books look like they should definitely be given a read! I agree with the fact that book covers are important, I know I love books no matter what the cover is but when I’m looking for new things to read it really is important. A book cover that attracts the eye and manages to keep the person’s attention makes a book more interesting and more likely to be read. Reblogged this on mark jacobs lives!. Beauty is in the eye of the buyer. Oh, it DOES matter. While I’m more prone to make my final decision on the summary of the book, the book’s got to have an appealing cover to get me to that point in the first place! I was very pleased with the overall design of my novel’s cover but I asked to swap the colour and size of the font, and suddenly the cover really zinged. Always regretted the novel was only published as an ebook as it looks good on a bigger scale. It felt very important to me as an author to have a hand in its design. As a writer, marketing professional, and avid reader, I always judge a book by its cover. The cover is what catches your eye amidst the sea of books in the bookstore. The next question is: is the title as intreaging as the cover? If it is I’ll read the back of the book and maybe skim a random page before deciding whether or not to buy. Writers absolutely need to care about their book covers and get professionals involved wherever possible. Great post! I was literally JUST sitting down to write my post on judging a book by it’s cover! Less of a marketing tactic and more of a way of to fully enjoy your book even after you’ve read it. I love your blog! Keep up the great posts! Thanks for the links. Very interesting articles. It’s funny how everyone says, don’t judge a book by it’s cover, and yet so many do. That’s true, unfortunately. Part of the problem is that good vs. bad design is sometimes only subjective. I read an article recently that highlighted book covers it said were winning designs, and I found nearly every one of them unattractive. If I bought by cover only, I wouldn’t have bought any of them.